After Al Ahly's victory against Espérance Sportive de Tunis in the first leg of the Champions League final (3-1), the return leg will be played in Rades on Friday night. A match in tension because of the mistakes of the referee of the first leg. The Stade de Rades will be full as an egg for this clash between Esperance and Al Ahly. The African Football Confederation gave the go-ahead for the opening of the south and north turns during the match in question. Tunisian Football Federation (WFTU) President Wadii Jarii on Wednesday announced the lifting of the penalty imposed on supporters of Espérance ST's southern turn, indicating that the club will be able to count on 60,000 spectators at the weekend. Jarii explained that the African Football Confederation (CAF) has responded favorably to the request of the FTF in coordination with the management of Espéarance. 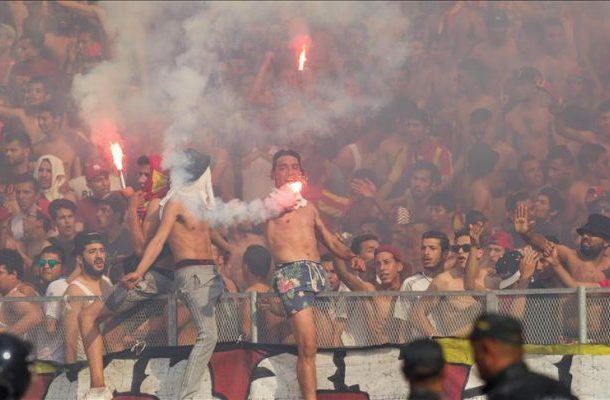 CAF has maintained the $ 300,000 fine imposed on Esperance following the vandalism that sparked the semi-final return to Tunis between the Tunisian club and the Angolan club Primeiro De Agosto.